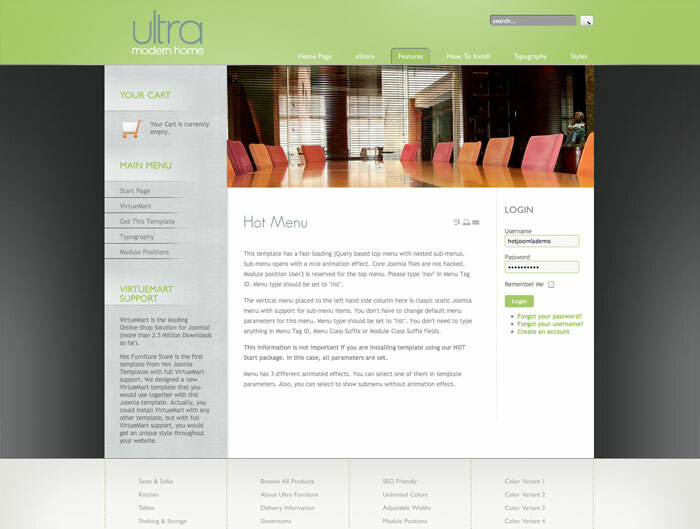 This is our very first template with support for the popular e-commerce component VirtueMart. 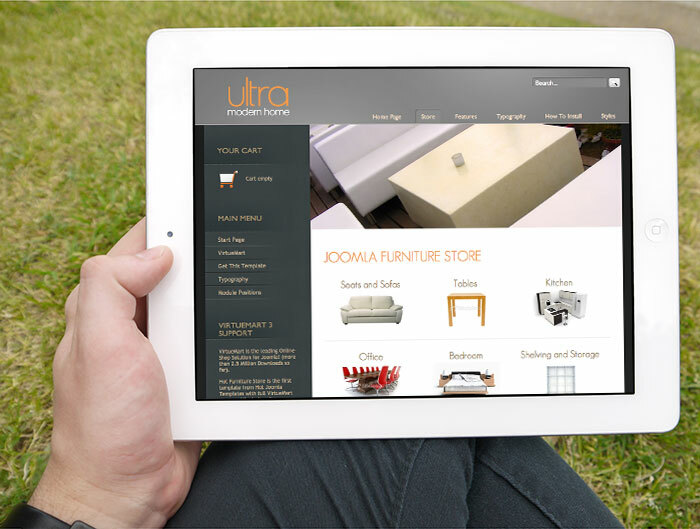 Inside the Joomla Furniture template package, you will find the VirtueMart template that you would use together with this Joomla template. 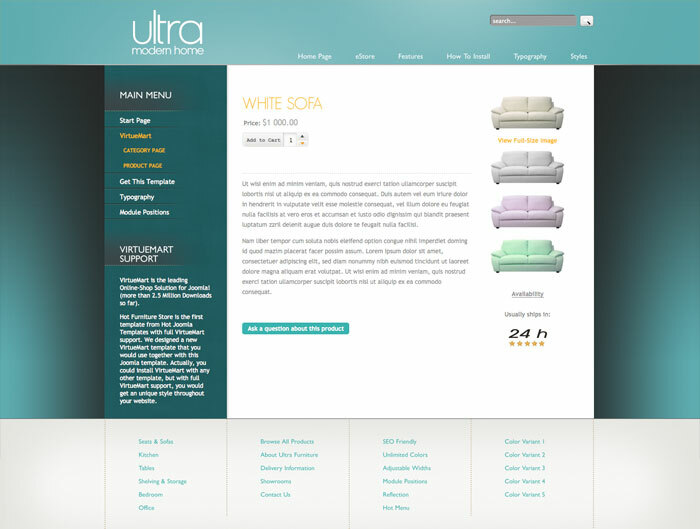 Actually, you can install VirtueMart with any other template, but with full VirtueMart compatibility of Hot Furniture Store, you would get an unique style throughout your website and e-store. 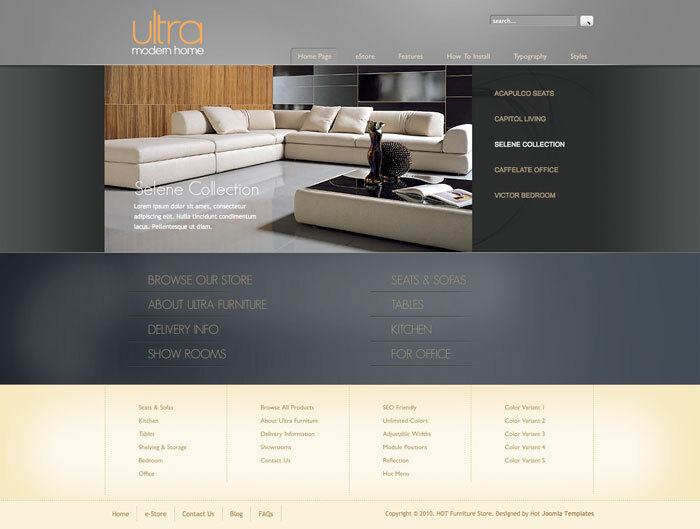 Theme of this template is the furniture store, but if you like its style, feel free to use it for any other e-commerce purposes. Simply, change our demo products with your real products, edit our sample payment methods with yours and you are ready to sell! 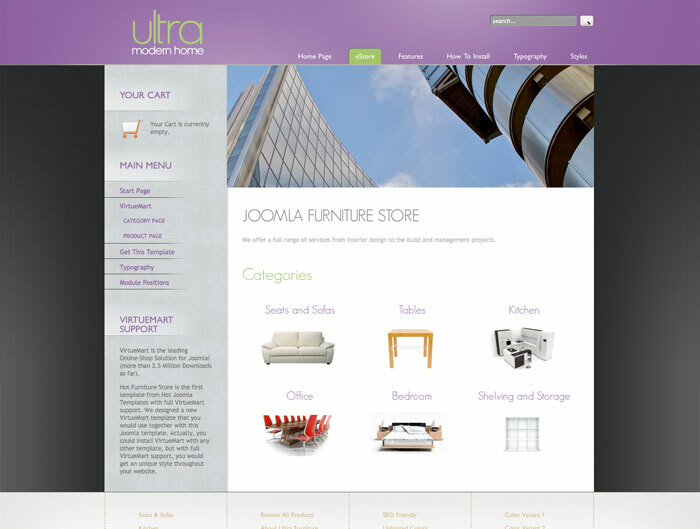 We wish you a lot of success and profit with the Joomla Furniture template! And, of course, a lot of fun! 100% tableless and responsive HTML5/CSS3 code, not based on any CSS framework, with changeable width of left and right columns, as well as overall template width. Only version for Joomla 3 is responsive. 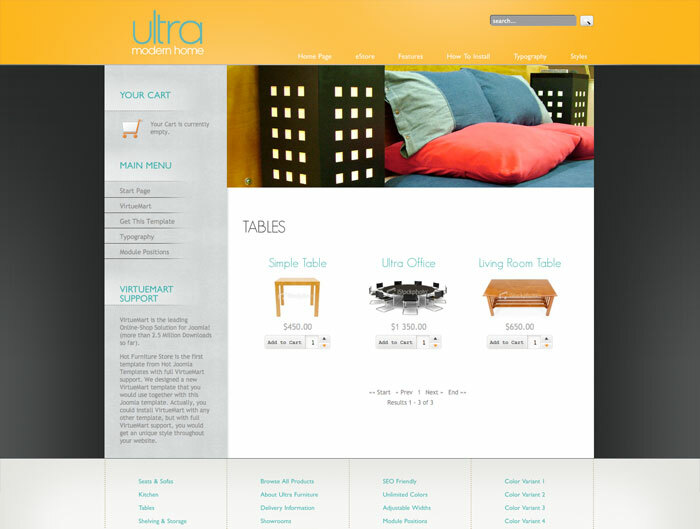 VirtueMart template files are included in Joomla Furniture template package. Five pre-defined styles. Each color is easily customizable in parameters, so you can change any color in template easily. Infinite color combination. Hot Newsflash module, Hot Photo Gallery plugin ($15 value) and Hot Joomla Gallery module pre-installed. 22 fully collapsible module positions available. Tested in IE7+, Firefox, Chrome, Safari and Opera browsers on Windows and Mac. Tested on iOS and Android mobile devices.